Wallpaper comes in and out of vogue but it not to everyone’s taste. It can be a godsend for covering up bad plasterwork, but it can also be a nightmare to stripping away those hideous patterns. Here are some simple steps for getting rid of the dreaded flock. Prepare the area. You don’t want to ruin your floors so cover them up. Start … peeling a piece of wallpaper and pull. Hopefully it will come off in one piece and easily. You usually have two layers – the wallpaper itself and the backing paper. If they don’t come off easily, then you may need to use some wallpaper adhesive remover mixed with warm water. Apply to the area and leave for about 10 minutes to absorb. Then scrape the wall clean. Be careful not to damage the plasterwork underneath. When you have finished, clean down the wall and prepare for painting. 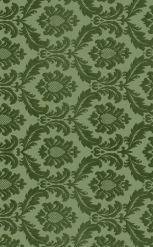 Oh, there is no need to be so harsh on wallpaper! It is really coming back into fashion, especially as a feature item in interior design. You can also use steam to effectively remove the wallpaper and soften the adhesives. There are pro steamers for this purpose … or irons can work well if you are careful.